In Adding a SOTA baseball game and the Air Horn guy to the Cobb’s Hill series, we met Randy “Air Horn” Johnson, father of SOTA junior Brennen Johnson. 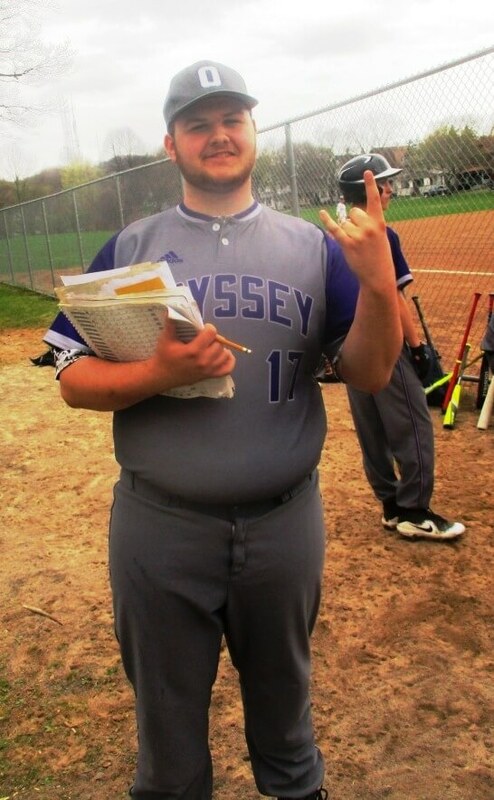 Then, Randy tooted the team to a 14-13 nail biting win over Edison. Randy was back for the Greece Odyssey game, but couldn’t quite rally the boys in their loss. 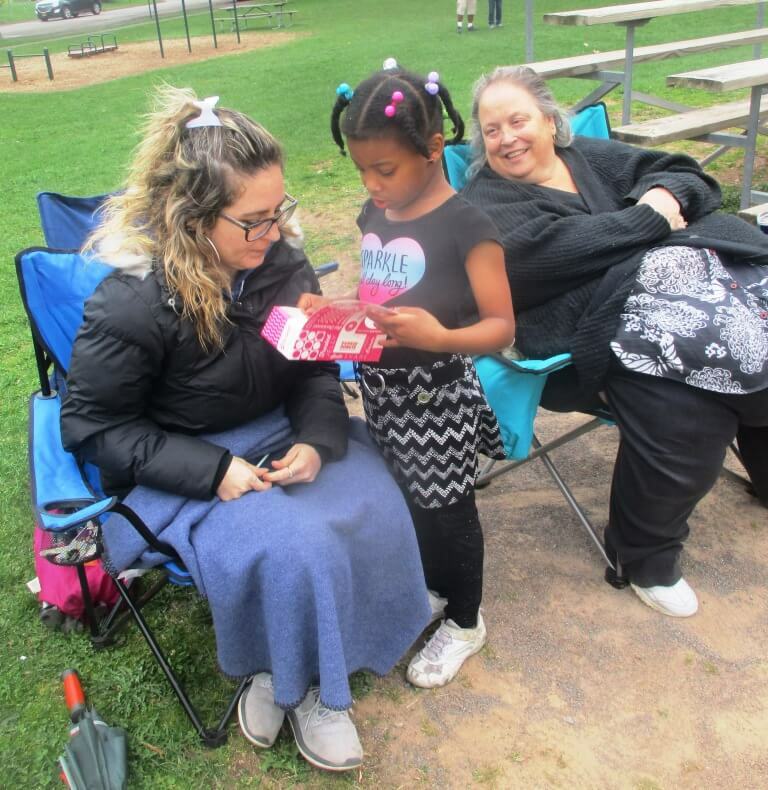 At the game, I learned that supporting SOTA is a family affair as daughter Brittnee is the official SOTA scorekeeper. The job of the scorekeeper is more important than casual fans might realize, especially when fields don’t have electronic scoreboards. 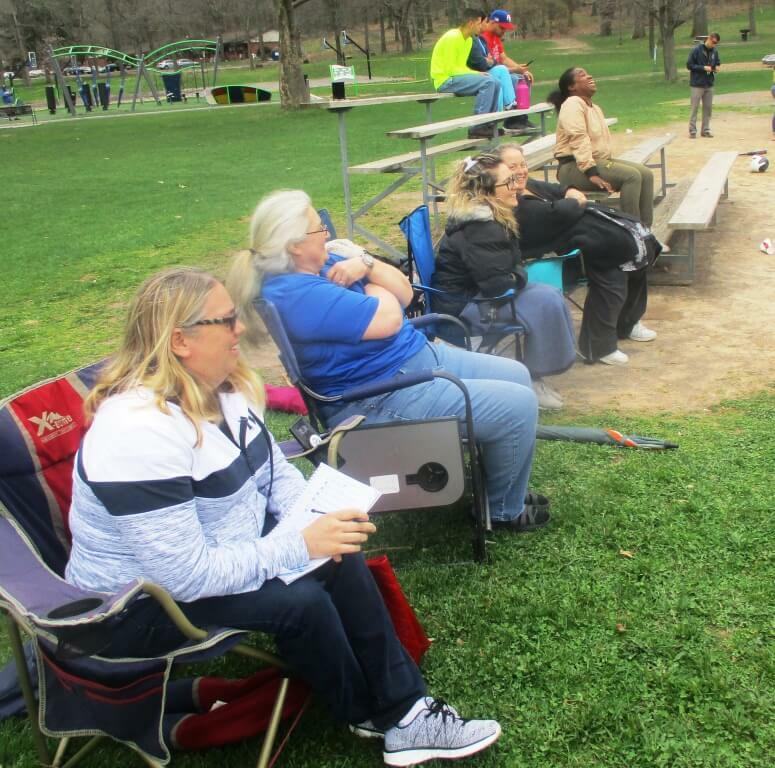 While umpires keep track of balls, strikes and outs on their indicators, if any confusion arises, the umpire consults the official scorekeepers of both teams who are tracking every pitch. 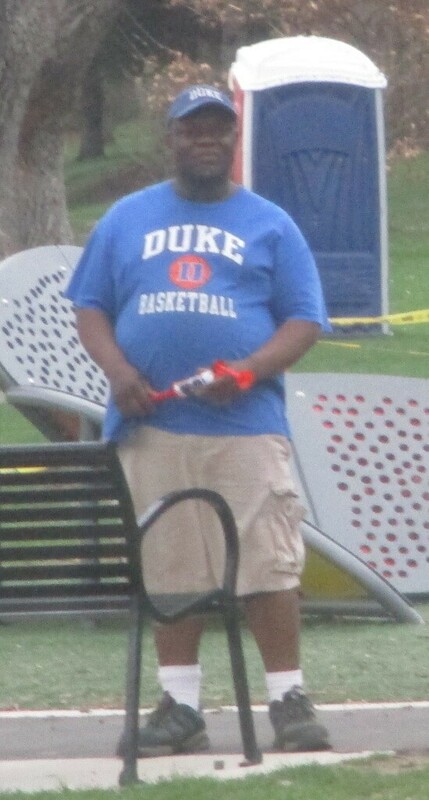 Umpire preparing his score sheet before the Greece Odyssey – SOTA game. Fundamentally, the scorekeepers are responsible for recording the score and inning. Furthermore, scorekeepers record substitutions and must know if a player bats out of order. This year, scorekeepers have new duties. The RCAC has a strict pitch count for pitchers which must be carefully tracked. You’ll hear coaches constantly asking the scorekeepers how many pitches have been thrown. With the new rules, game strategy rests in the balance. The keepers better be right. 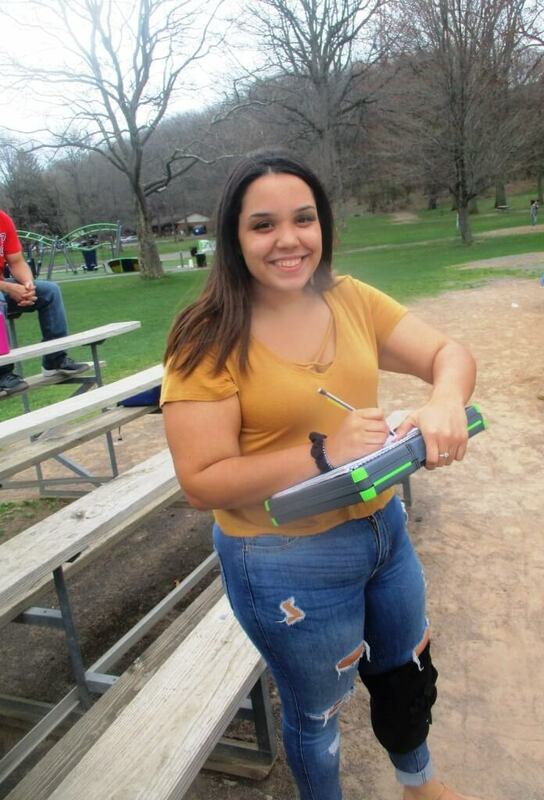 Brittnee studies at St. Bonaventure University and aims to be a school counselor. Luckily, her schedule allows her to also be the SOTA scorekeeper. 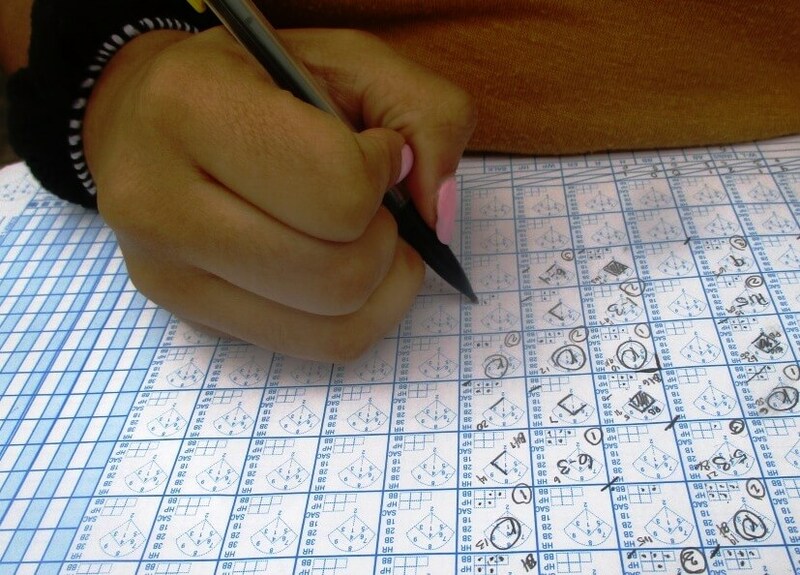 Taught the score keeping craft from her uncle and after honing her skills, Brittnee says she rarely makes a mistake. Mostly, the umpires’ balls/strikes/outs match Brittnees’ record, but occasionally the umpires ask her for a double check. Given the pitch count rules, she is meticulous about marking the small boxes for balls and strikes. 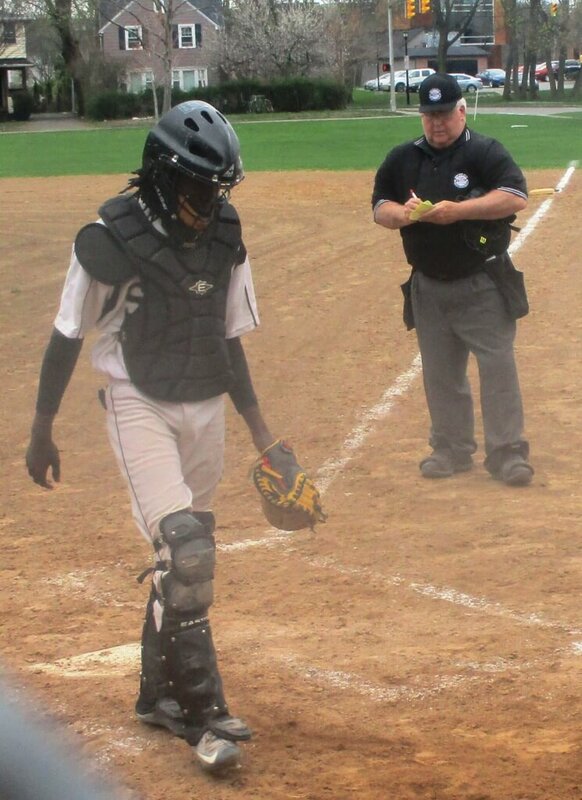 As Brittnee watches every pitch closely, I asked how often she thinks the umpires are right in their calls. She says 75% of the time. As an umpire myself, I must disagree. I think the umpires are right well over 95% of the time. 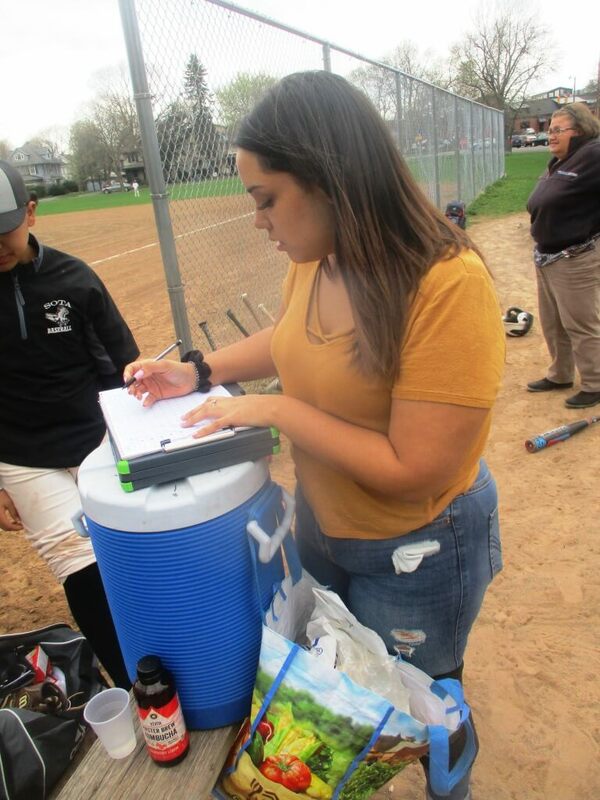 With new RCAC rules, the score keeper has to get every pitch right. Brittnee was not the only SOTA score keeper at the game. Mother of player Steven, Michelle Lepki kept an unofficial book on the side. Michelle is one of the so-called SOTA Mommas who brave “rain, sleet or dust storms” to support — and feed — their team and fans. Michelle shared the playlist the Mommas use when cheering on the team with Randy tooting in the background and Brittnee marking every pitch. (left) Michelle Lepki; (right) the playlist the Mommas use when cheering on the team.